Beautiful you, inside and out. It's our goal to exceed your expectations. Let us customize your new look in our fun, exciting salon with a hair color, cut, style or wax that is designed to bring out the most BEAUTIFUL YOU. 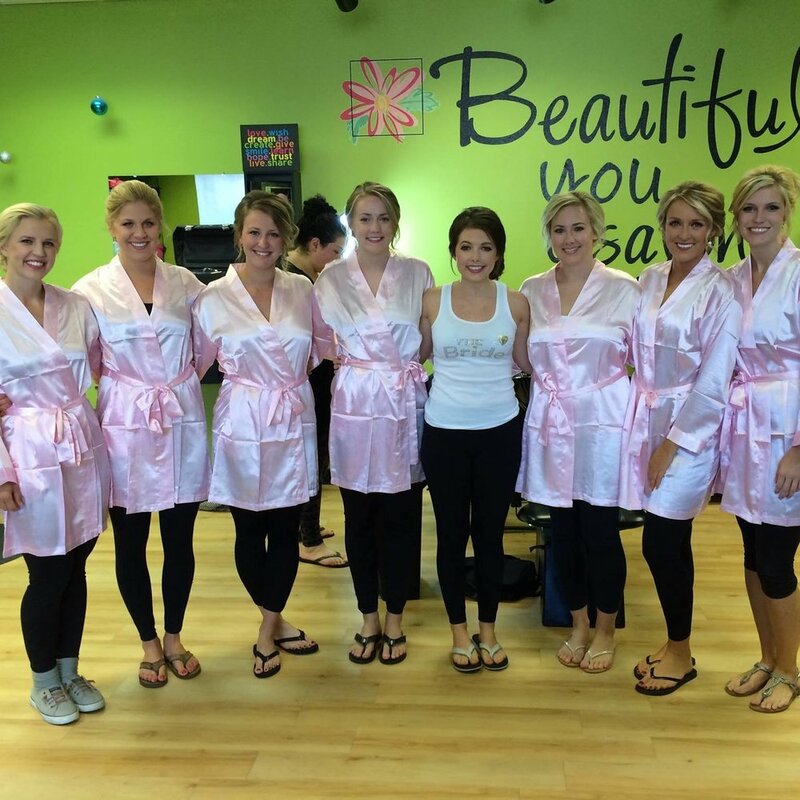 We specialize in bridal parties! Janell's favorite thing about being a hairstylist is making people feel beautiful. Loving the way you look can make your day so much brighter and it's the best feeling when a client is excited about their new look. One of her favorite memories as a hairdresser was doing hair and makeup for her friend and musician Jara Johnson and her music video for "That's What I Call Home." Her favorite products she can't live without are Morrocan Oil, Iron shape flat iron spray from Redken, and Kenra 25 hairspray. .
A Pella native, Rachael graduated from The Salon Professional Academy in 2007. She has been coloring, cutting and styling hair since then, with 10 years of experience. Her favorite thing about being a stylist is building relationships with her guests and being able to make them feel good about their hair! Some of her favorite memories are styling hair for weddings and other events. Also, she enjoys cutting hair for donations. It is such a great cause and to know they are helping someone who is struggling with hair loss is very rewarding. Her favorite products to use are Redken, which she was trained on in school. She also loves Guts10, to help get that volume, SatinWear04 for smoothing the hair during blow drying and ControlAddict28 for finishing the hair with good hold. Here at Beautiful you we know a fresh haircut can make the difference in the way you look and feel. We specialize in mens, womens & childrens haircuts. We would LOVE to help you celebrate a special occasion by making you look and feel your best. We have many years of experience in styling anything from your daughter's first father/daughter dance to your wedding day. When it comes to color only the best will do. Sometimes we just need a little more "pepper" in our "salt." We recommend getting waxed on average every 3-4 weeks to maintain their shaping. If you pluck in between waxing you will have hair grow at different rates and continually need to pluck. Waxing all the hairs on a consistent schedule will help them grow in more even. If you are not satisfied with the way your hair looks then you are not going to be happy. Let's fix it. Schedule an appointment below or call us!